Dehai News -- Aljazeera.com: Should Ethiopia stick with ethnic federalism? Aljazeera.com: Should Ethiopia stick with ethnic federalism? Ethiopia embarked upon a set of political reforms in early 2018 that were greeted with euphoric enthusiasm. Prime Minister Abiy Ahmed's new administration initiated political liberalisation, releasing political prisoners and inviting exiled opposition groups that had been designated terrorist organisations to return to Ethiopia. The country's second attempt at democratisation has however also been accompanied by a surge in political violence (often along ethnic lines), resulting in - among other things - the displacement of nearly three million people. Notable among these are the almost 900,000 Gedeo people who had to flee from their homes in the Guji zone of Oromia state. Many observers have concluded that the main culprit behind the surge in violence is Ethiopia's ethno-national federal arrangement, which grants bigger ethnic groups self-governance rights within their respective states. Ugandan academic Mahmoud Mamdani, for example, recently argued that ethnic federalism risked "to push the country toward an interethnic conflict", while others have drawn parallels to the possibility of a Yugoslavia-like disintegration. To date, federalism has only been nominally practised in Ethiopia. Since the constitution was established in 1995, the ruling Ethiopian People's Revolutionary Democratic Front (EPRDF) has maintained power through autocratic means. Ethiopians in the nine regional states have never had the privilege of electing their own governors. These officials have instead most of the time been appointed through informal channels by the EPRDF leadership in Addis Ababa. In effect, the notion of self-rule - which is the fundamental principle of ethno-national federalism - has never been practised. What Ethiopia's different ethno-national groups had attained was cultural autonomy and the opportunity to be governed by non-elected political elites from their own ethnic group. Until his death in 2012, Ethiopia's strongman Meles Zenawi appointed and unseated the leadership in each regional state (including his native Tigray) at will. After his passing, this political elite, who had initially been appointed by the centre started becoming increasingly autonomous from the control of the federal government as well as its people. Those that attribute recent conflicts to federalism have proposed that Ethiopia adopt a territorial form of federalism, while some Ethiopians hope that it will return to a unitary system. The Horn of Africa's track-record of assimilationist nationalism, however, has been far from good. Ethiopia's experiment with assimilationist nation-building in the 20th century led to the formation of a number of ethno-national insurgency groups. This resulted in a 17-year-long civil war and ended with regime change in 1991 and the secession of Eritrea in 1993. In Somalia, President Siad Barre pursued a similar nation-building project, which also resulted in state collapse and the unilateral declaration of independence by Somaliland in 1991. Sudan's attempt to Arabise South Sudan likewise led to Africa's longest civil war and state-partition in 2011. What all three cases illustrate is that the notion of "unitary nationalism" is not culturally neutral and that it can still privilege some groups over others. They also demonstrate that ethnic politics was not a product of the institutional accommodation of ethnic identity but rather the concealed inequality and injustice that accompanied assimilationist nation-building efforts. The problem in Ethiopia has historically not been limited to the excessive centralisation of power in the capital, but has also centred on the question of cultural marginalisation, assimilation and the thorny question of whose culture and most crucially whose language should constitute that of the state. A federal arrangement organised solely along territorial lines does not address this crucial problem and can therefore not constitute a solution to Ethiopia's diversity management challenge. There are crucial alternative explanations for Ethiopia's current predicament that are being overlooked. The first important factor is of course that the country is undergoing a transition that involves political liberalisation and the surge in violence is one of its unintended consequences. This is not unique to Ethiopia, as processes of political liberalisation after autocracy are often accompanied by both civil and international conflict. The nature of the ruling EPRDF is another crucial factor that is overlooked. Through its ethnic patronage structures, the coalition of four ethno-national parties has contributed more to ethnic tensions than the federal arrangement. While federalism has made ethnicity the organising principle of the state, it was the dominance of the Tigrayan People's Liberation Front (TPLF) that generated ethnic resentment and tensions. The regional states of Oromia, Tigray, Somalia and even Amhara - historically the bedrock of the unitary nationalism - are all dominated by ethnic nationalist ruling parties and ultra-nationalist opposition parties. Critics of ethno-national federalism need to appreciate the legitimacy of the demand to be governed by one's own language and develop one's culture in the public sphere. These include - but are not limited to - practices such as issuing of ID cards, car-plates, and other symbolic measures that designate ethnicity. Such practices do not contribute anything to the legitimate purpose of self-rule and cultural equality, but only serve to solidify differences and serve those that seek to instrumentalise ethnicity for violent purposes. Fortunately, secession has today only a few advocates. The utility of article 39 of the constitution - which allows for self-determination up to secession - should however be reconsidered. Most of the regional states are home to sizable minorities and most regional borders are disputed. The idea of a peaceful and legal secession in Ethiopia is unrealistic. Article 39(4) not only does little to contribute to the core idea of institutionally and legally accommodating Ethiopia's cultural diversity, but also serves as a source of instability by providing political elites with an effective scare tactic every time their interests in the federal government are not met. The current political composition of the federation with nine states, to some extent, reflects the top-down and autocratic constitution-making process in 1994-95. Groups like the Sidama - which has a population of around four million and whose demand for regional statehood has been ignored for years - must be accommodated. The hypocrisy of self-determination only for the powerful will in the long-term only undermine the constitutional arrangement. This type of discrimination is not legitimised - let alone dictated - by the constitution. 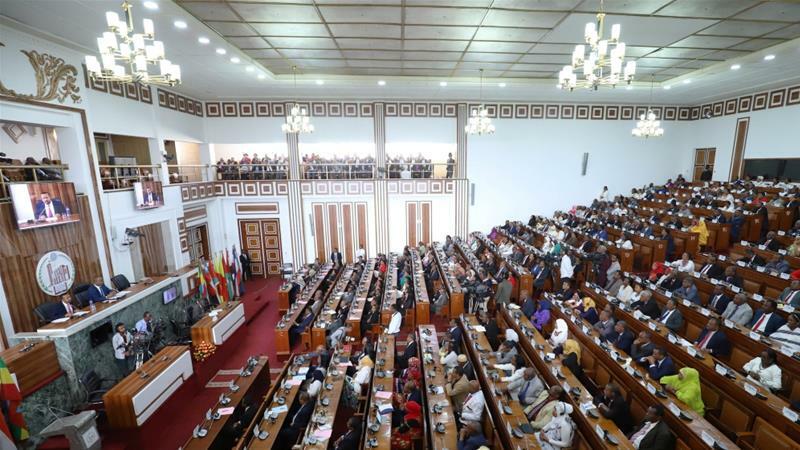 The constitution provides the "Nations, Nationalities and People's of Ethiopia" with rights such as "the right to a full measure of self-government … to write and to develop its own language; to express, to develop and to promote its culture; and to preserve its history". The constitution does not provide the right to positive or negative discrimination of individuals based on ethnicity. This type of discrimination is rather historically rooted in EPRDF's party organisation, culture and practice. Challenging these discriminatory practices is best done by channelling criticism to the ruling party rather than the constitutional arrangement. 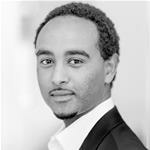 *Goitom Gebreluel is a PhD candidate at the University of Cambridge.